For those who are not scared to digg a hole in their pockets, here is something which will bring you peace of mind. 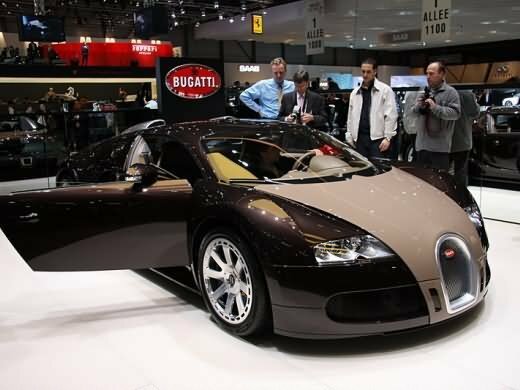 The India’s most expensive car has arrived welcome the Bugatti Veyron 16.4 Grand Sport priced at Rs 16 Cr. “Bugatti has been doing well in America, Europe and the Middle East. Now we see India as an emerging market for us, hence we have decided to bring the car to India,” Bugatti Automobiles Sales Market Manager (Middle East, Europe and India) Guy Caquelin told reporters here. The Bugatti Veyron 16.4 Grand Sport, priced at Rs 16 crore onwards, will be distributed by the company’s Indian dealer Exclusive Motors. So far, the most expensive cars in India have been the Rolls Royce Phantom and the Maybach, which are priced around Rs 5 crore. “The price of the car will be subject to foreign exchange fluctuation and the levels of customisation that a buyer demands,” Exclusive Motors Managing Director Satya Bagla said. He, however, said that with the Indian luxury car market growing at about 25 per cent there is an opportunity for such expensive cars. “The Bugatti Veyron is four times more expensive than what’s being sold in the India. So we are currently testing the customer response,” Bagla said, when asked if there has been any order for the car. He said delivery would take about 6-8 months from the date of order. Caquelin said Bugatti is aiming between 60 and 80 units of the car to be sold across the globe this year and there have been queries from 3 to 4 Indians globally. The company claims that the Bugatti Veyron is also the fastest car on production that is allowed to drive on normal roads in the world with a top speed of 407 km/hour with an acceleration of 0-100km/hour in 2.7 seconds. The car, which uses components made of special materials like titanium, carbon fibre and magnesium is powered by an 8 litre engine with 16 cylinders and is assembled by hand at the company’s hand headquarters Molsheim in France.